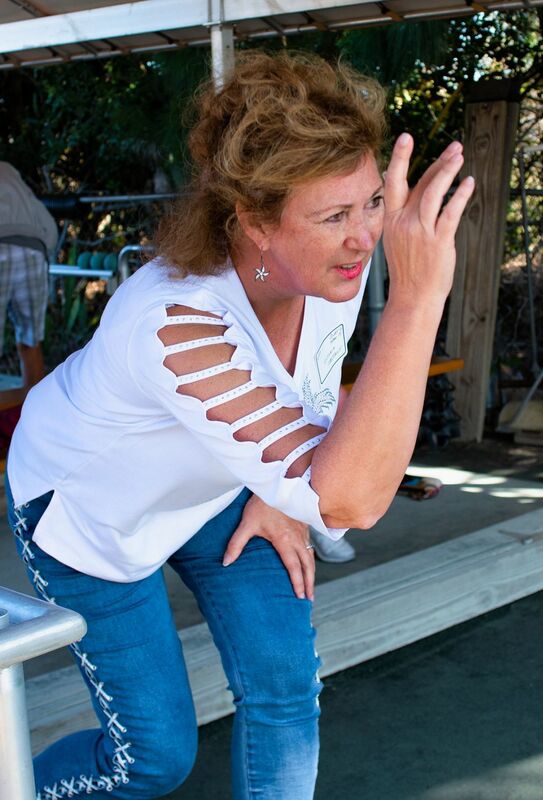 Victoria Chestnut rolls a ball, at the 12th Annual Bocce Tournament at the Punta Gorda Elks Lodge #2606. 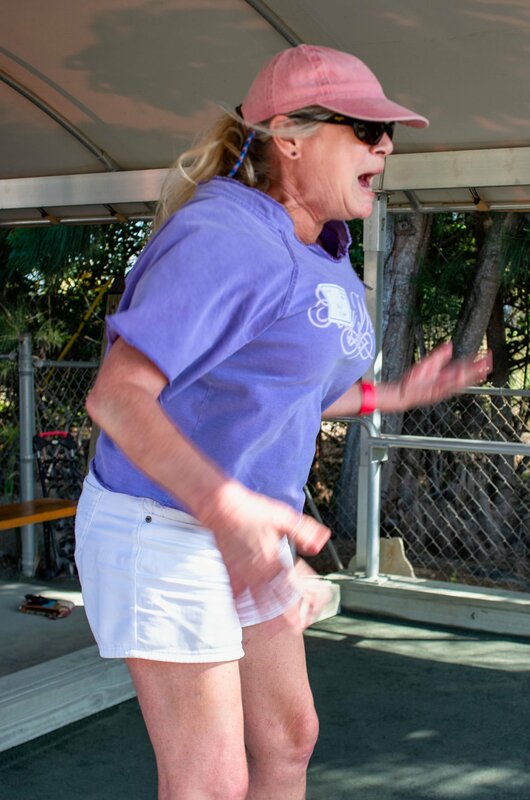 Cathy Colban reacts to her roll. Left: Dan Roy (left) rolls a ball, as Charlie Debarro observes. Jim Paul (left), Bill Gurnick, and Adele Zajac play Bocce, at the 12th Annual Bocce Tournament at the Punta Gorda Elks Lodge #2606.